(GITKit). The toolkit drastically improves the sign-in experience for Google Apps users, as well as for users of popular free webmail services such as Gmail, Yahoo! Mail, Hotmail, and AOL Mail. The biggest improvement in the sign-in flow is that after a user has logged into your website once, their return experience will be as simple as seeing the account (or accounts) they have used with your site and clicking the one they want to use. For example, the user Bonnie might use the sassyapp.com app for both her main job, as well as for a small business she runs with her husband Clyde. 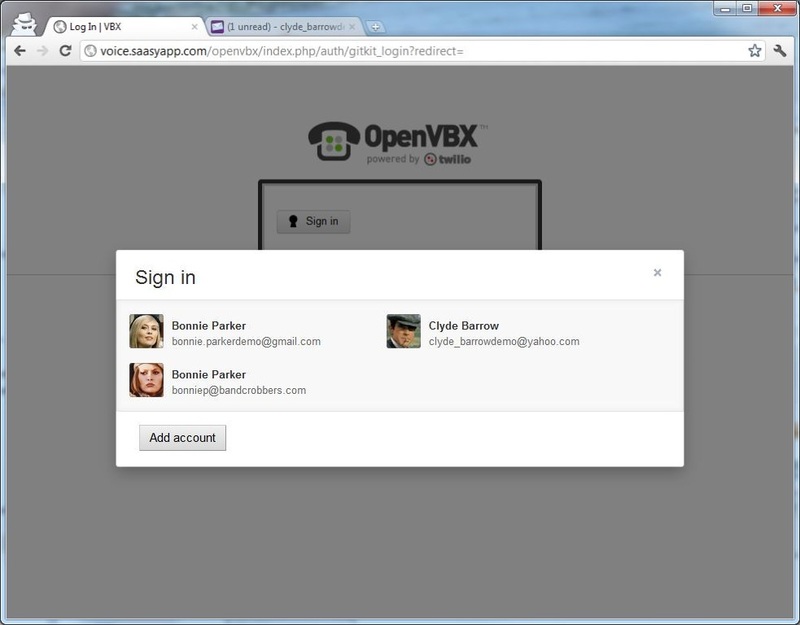 Whenever Bonnie or Clyde need to sign in to sassyapp.com, they simply click the account they want to use. If the user does not see their account listed, then they go through a one-time flow to add the account which sends them to the screen below. A Google Apps user can either click the Gmail button or type their email address. For users who cannot login with an identity provider, they will be asked to either enter their password or create a new account after entering their email address. This user experience is based on an industry technique called an account chooser. In fact, Google is in the process of replacing its own login box with an account chooser and you can opt-in to start using it on Google yourself. For more information, refer to the GITkit and Apps Marketplace documentation. Eric is a Product Manager for Google Security and board member of The OpenID Foundation. He has more than 15 years of experience in the areas of user identity and security for hosted Web applications. 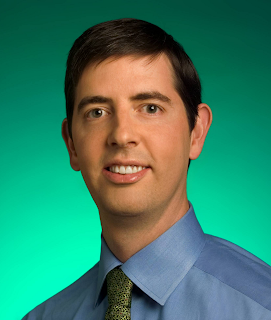 During his five-plus years at Google, he has worked as a Product Manager for many services, including the Google Account login system, Google Apps for Your Domain, orkut.com social network, Google Health, Google Security, and Internal Systems. 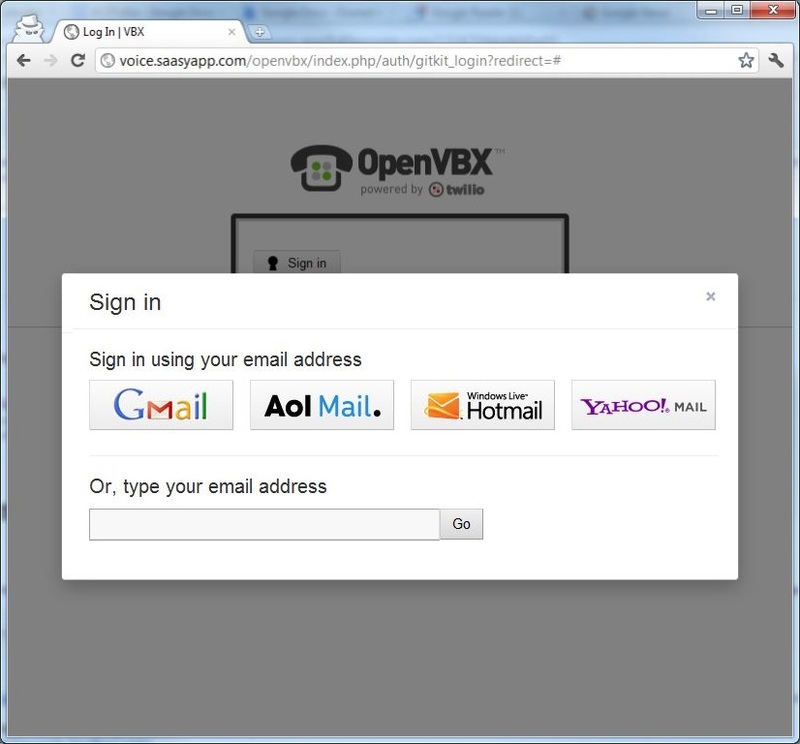 Easy access and single sign-on to applications has been a cornerstone of the Apps Marketplace since it launched. When a user clicks on an app in the Google Apps universal navigation (the “more” menu), they’re immediately signed into the app resulting in the same experience as when switching between Gmail, Calendar, and other Google apps. However, sometimes users navigate directly to the homepage of the app and want to sign in there. Handling this case while still maintaining a great user experience can be challenging. To help, we suggest that Marketplace vendors evaluate the Google Identity Toolkit (GITKit). The toolkit drastically improves the sign-in experience for Google Apps users, as well as for users of popular free webmail services such as Gmail, Yahoo! Mail, Hotmail, and AOL Mail.